No death penalty jury has ever found a defendant charged with intentional murder to be ineligible for the death penalty under Georgia's intellectual disability law, according to a new empirical study published in Georgia State University Law Review. The study, by Georgia State Law Professor Lauren Sudeall Lucas, examined 30 years of jury verdicts under the state's Guilty But Mentally Retarded statute, which has the most onerous standard in the nation for proving intellectual disability. “Georgia is an outlier," Lucas says. It is the only state to require a capital defendant to prove his or her intellectual disability beyond a reasonable doubt, and the only state to require that this determination be made at the same time that the jury is considering the defendant's guilt. 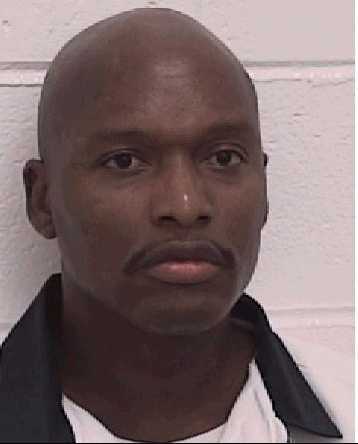 “This study provides, for the first time, an accounting of how Georgia defendants have been unable to overcome the very high burden of establishing intellectual disability before a jury at the guilt phase of a capital trial—a finding that," Lucas says, "has never occurred in a case of intentional murder.” In 2002, the U.S. Supreme Court ruled in Atkins v. Virginia that defendants with intellectual disability—then known as mental retardation—cannot be executed. The ruling, however, left states with discretion in establishing procedures for determining which defendants have intellectual disability. Some states responded by adopting practices that made it more difficult to prove intellectual disability. In two recent cases, Hall v. Florida (2014) and Moore v. Texas (2017), the Supreme Court struck down other outlier intellectual disability standards that deviated from accepted clinical definitions of intellectual disability. It has never ruled on Georgia's standard of proof. To illustrate the effect of Georgia's outlier practice, Lucas explores the case of Warren Hill (pictured), whom Georgia executed in 2015 even though every mental health expert who had evaluated Hill agreed he had intellectual disability. A state court judge found that Hill had proven his intellectual disability by a "preponderance of the evidence" (more likely than not), the standard employed in nearly every death penalty state. However, the state courts ruled that Hill had not proven his intellectual disability "beyond a reasonable doubt." The U.S. Court of Appeals for the Eleventh Circuit upheld the use of that standard, the U.S. Supreme Court declined to review the cae, and Hill was executed. Lucas concludes, "The absence of a single jury finding of intellectual disability in an intentional murder death penalty case in the nearly three decades of the statutory exemption, and the absence of a single jury finding of intellectual disability in any murder case post-Atkins, leaves little question that Georgia’s statute has failed to protect those with intellectual disability from execution as promised, and as required by the U.S. Constitution and Georgia constitution." (L. Sudeall Lucas, "AN EMPIRICAL ASSESSMENT OF GEORGIA’S BEYOND A REASONABLE DOUBT STANDARD TO DETERMINE INTELLECTUAL DISABILITY IN CAPITAL CASES," Georgia State University Law Review, Vol. 33:3, 2017.) See Studies, Law Reviews, and Intellectual Disability.